Get Your Logo On LeSage Natural Water! Want a unique way to impress clients, promote your business, celebrate a wedding, or even ask for votes? Get your own personalized logo or message on bottles of Lesage Natural! It's fast, easy, and inexpensive! Looking for a competitive edge? 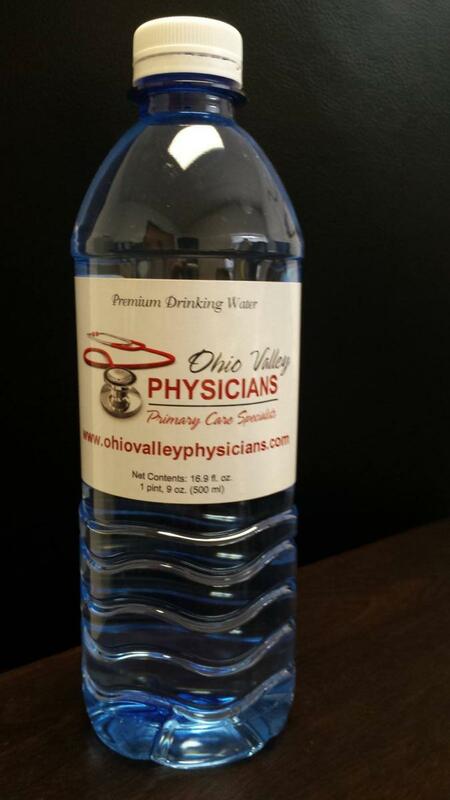 Hand a client a bottle of our water with your logo on the front. You'll definitely set yourself apart from the competition. Maybe you're an industry, business or church looking for a way to give back to the community. Donating bottles of water to an event is a win/win for everybody involved. We've even had folks running for office who got their message out on the labels. And it's a great way to celebrate a class reunion, birth, or wedding! The possibilities are endless. Contact us today and we'll give you all the details!